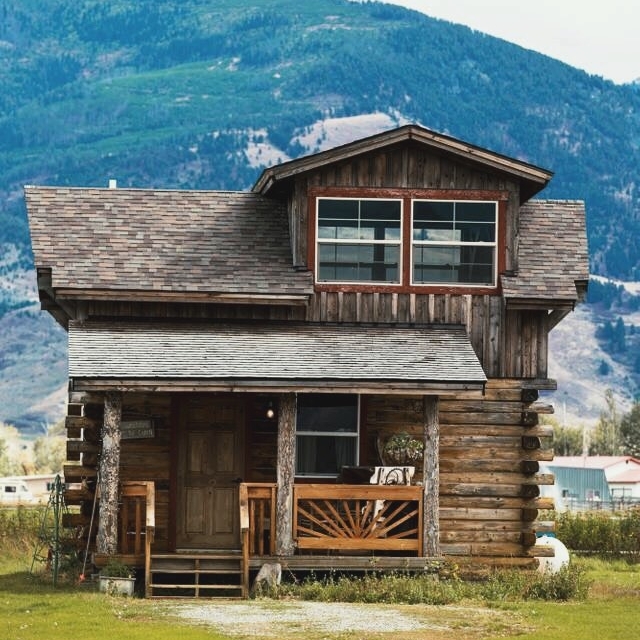 A classic Montana cabin with breathtaking views located on the grounds of a working ranch. Only 30 minutes from the North entrance of Yellowstone, the Lost Antler Cabin is a great base camp for a long weekend of hiking and exploring the national park. Fresh eggs from the farm will be waiting for you in the fridge so be sure to enjoy them with coffee out on the covered porch in the mornings. 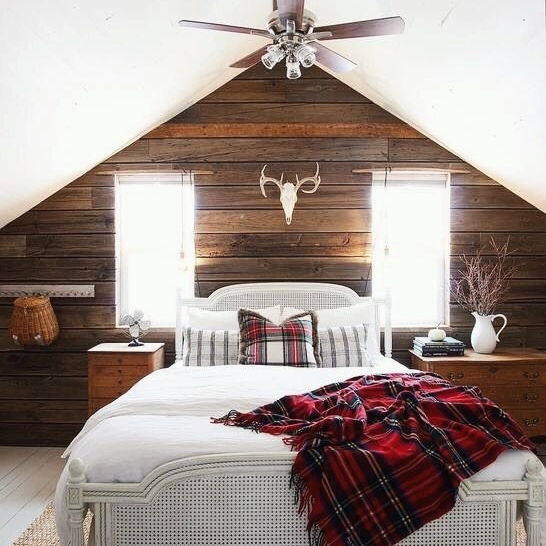 The loft can sleep 3 people and has incredible mountain views. You'll want to wake up here over and over again. This restored 1920's cottage really has it all. You're minutes from downtown Bigfork and only a short drive to Glacier National Park & the town of Whitefish. Sitting on over an acre, this modern meets classic Montana cottage can sleep up to 6 guests and has a dreamy wrap around porch where you'll want to spend every minute that you're not out hiking. A beautifully renovated kitchen and bathroom with clawfoot tub make this historic cottage the perfect place to wind down and relax after a weekend of outdoor activities. An 80 acre ranch in Helena that has four different canvas tents for rent. The tents all share an outhouse and propane heated shower. However if you prefer a non-outhouse toilet situation guests can use the bathroom of the on-site Highland Grill & Bar (open Wed-Sun and apparently has great food and drinks!). 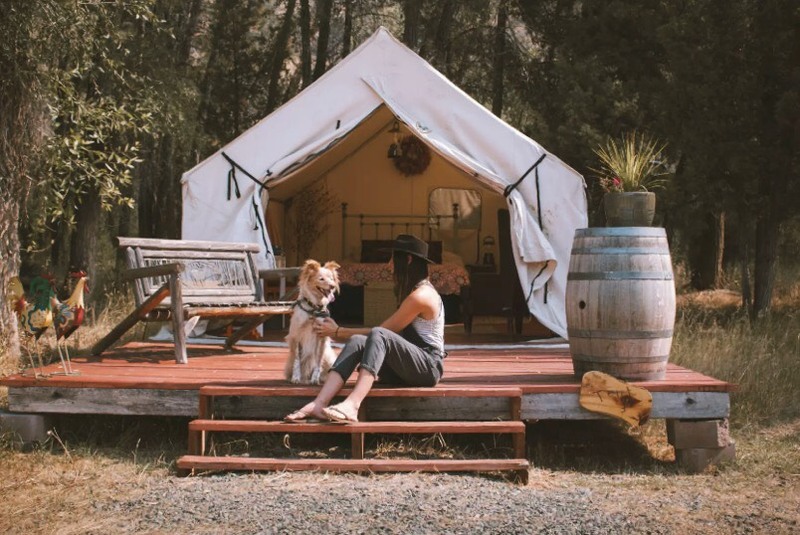 Make this getaway as active or relaxed as you want - curl up in the tent with a good book all weekend or set off for a day of hiking in nearby Helena National Forest. You're also welcome to use the golf course & small fishing pond on the ranch.